My granddaughters love to sing Bible songs and hold up the sticks with the pictures on them! They love the Noah's Ark one, and we have a rainbow song, just to name a couple. For this song, there is the stable I printed on cardstock (It is all printed on cardstock) and as we sing the song, she holds up the correct people on the stick. You can print these in color here. This is the same song and craft stick printables, but has different graphics at my TPT store. There are Word Wall printables that have the same graphics as the above are here. These are the same as the in color cards, but are black and white. Click here to print. This is the Word Wall we used with this song and the other printables on this post, with the same graphics. You can print it here. 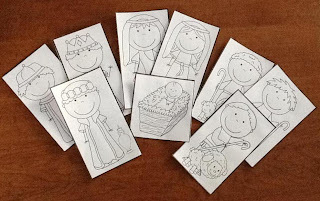 There is a free Nativity Word Wall updated download at my TPT store here. I also cut off the halo so it looks like he has a headband on. If you are visiting from A Thrifty mom... THANK YOU! And, I thank you for stopping by if you are from Funtastic14! I appreciate you stopping by! Also, thank you if you are visiting from Zujava! I appreciate your visit! Thanks for stopping by if you are visiting from Amy's Wanderings! Love your idea. 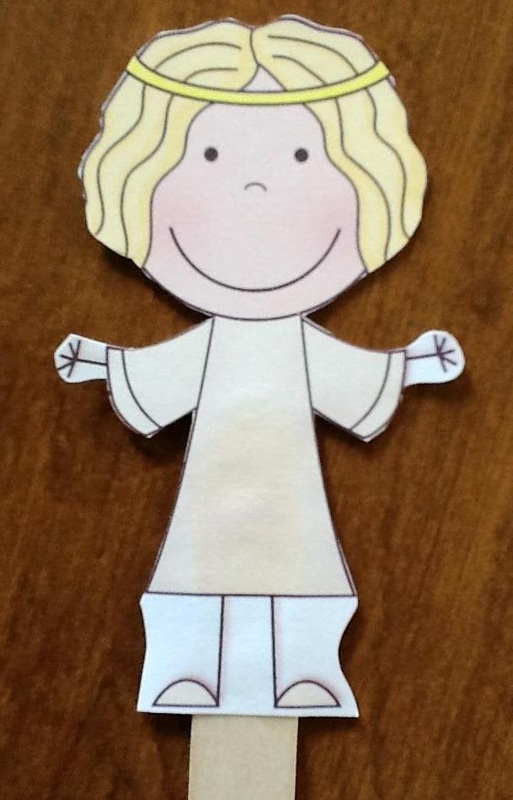 Could you share how you changed the angel to be male. I do appreciate your attention to the little Biblical details. Thanks for the comment! It is appreciated. I have added a close up of the angel. 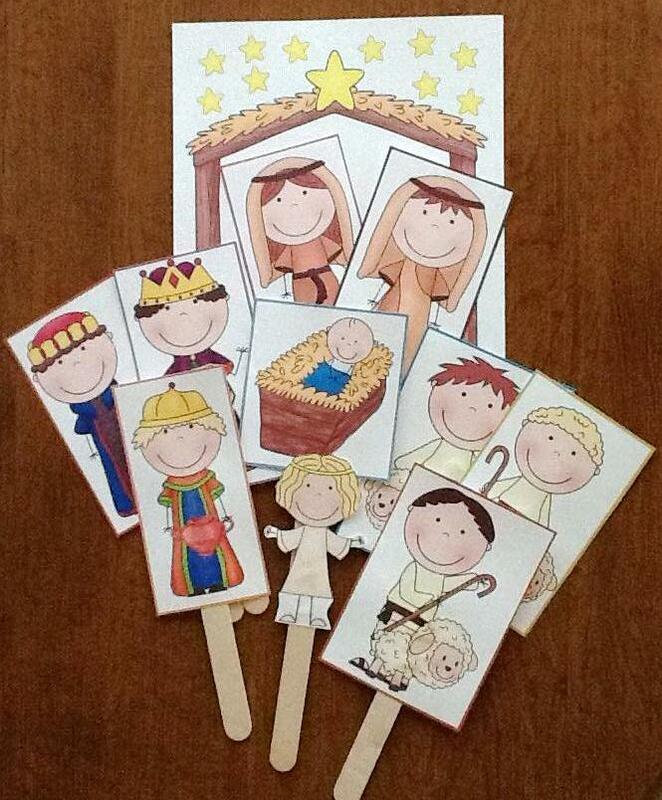 I will be adding birth of Jesus printables all month. Awesome song and printables. Pinned! Thanks for sharing at Mom's Library. What great printables. Love that it's in Spanish too. We've just done something similar too. thank you so much for all of your work i putting this together! Just returning back to say thank you for adding to the Christmas collection - think I have a friend who would benefit from these. Thank you for sharing your talents!! My girls will love this and I could not have made it! Thanks for the nice comment! My granddaughters really like the song! Thanks for visiting! Thanks for the really nice comment! I appreciate it and thanks for stopping by! I love the angel detail also. Thanks so much for making these available. thanks so much for sharing!!! loved all these activity ideas!!! Thanks for the really nice comment! I appreciate you stopping by and I am glad you can use the song! I am sure the kids loved it. My grandkids love the song! There are no words to adequately thank you from the bottom of my heart for these!!!! YOU ARE AMAZING! Thank you SO MUCH for sharing your incredible talents. . .I am SO thankful for people like you who are so sweet to share such things!!! I am ecstatic to use these!!! Well, thank you! I appreciate the really nice comment! And, i am glad you can use it! Thanks for stopping by! you may have cited your sources but is it really honest to be giving away a product you bought from someone else. If it was my product, I would be a little more than upset. It is a variation of digital piracy. just because it is digital doesn't mean it isn't someone's artwork. It is a crime to forge paintings, This is no different. if you really had a conscience you would know this is wrong. Even you ask others who use your idea on their website to refer them back to you. It is a cute idea you have but you should show the general idea and refer everyone to where they can buy their own copy legally and guilt free. I am sorry, but I have no idea what you are talking about. I designed the printables on this post. I purchased all the graphics and they are permitted to be used for these purposes. I tried to contact you, but with initials and the link without contact info, there wasn't a way to do that. Please explain so I can correct, delete, or prove that I designed it. Thank you verry much. I have print it for the little children. And will do this whith chrismas evening. Love this! Thanks so much for sharing your work with us!! This looks amazing and my daughter learns so well with songs. I cannot play the song, is there somewhere else that I can find it? Lindsey, this is a printable that you sing and use the visuals as you and the children sing together. Sorry, there isn't a video available. Thanks for stopping by! Can you tell me the song you sing? Thank you. Lyndsey, the tune is Are You sleeping (search on YouTube for the song and tune if you'd like). The song is included in the download. Thanks for being here. Thank you so much! I have been looking for something like this for my kids at church. This is wonderful! Thank you so much I've been looking for pintable's to present at the kids Christmas party during children's church and I found it! This is much better than just sitting down and watching a movie about the True story of Christmas. Thanks so much! 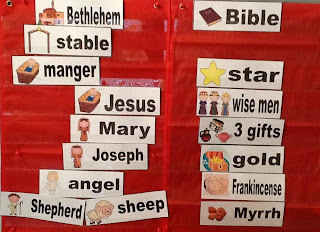 I was wanting to have pictures to hold up when I presented the "Christmas Story" to our 3 year olds. This is perfect! May God bless you abundantly for making it free! You are a blessing to the body of Christ!